LG have begun the hype for CES 2013 with a teaser trailer of what they will be showing. 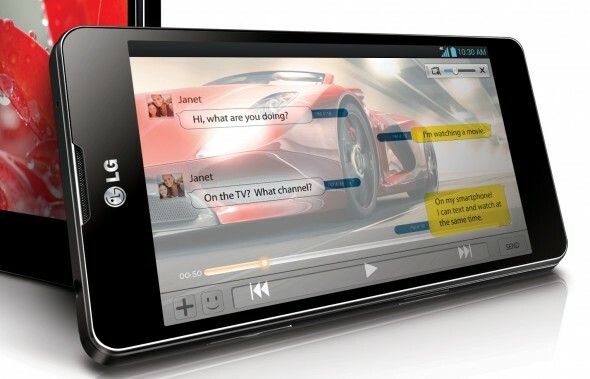 In the video, for a brief second, LG shows a unknown handset which we believe to be the rumoured LG Optimus G2. We have heard about the Optimus G2 before, a benchmark was released on the phone a month ago. Even though LG only released the first Optimus G a few months ago, they may want better performance and display to level with the competition. The rumoured smartphone is said to have a full HD display, the likes of which we have seen on the US only HTC Droid DNA. The smartphone will also be five inches, the same as the Droid DNA. LG have always been big on having the best screens, not only on smartphones but on TVs and other screens. We are unsure about their intentions this year, although some rumours say they are preparing to launch a tablet. Gorilla Glass 3, 16-core mobile processors and larger mobile batteries are all apparently being shown off at CES and other conferences around the world in the coming months. With all these new technologies coming to smartphones and tablets, it raises the question of whether LG are playing this a little early. If the Optimus G2 was to be released now, it could ruin their chances of adding better performance, higher display, stronger screens or a newer operating system. Of course, the latter can be added on an over-the-air update. LG aren’t the fastest to update their software and we sometimes find they are rather unsettled and undecided on whether they should change at all. All we know right now is that CES 2013 is going to be a big conference, full of different companies trying to show you the future in their eyes. Apple, Samsung, LG and many others are to take to private rooms and show off their best ideas.